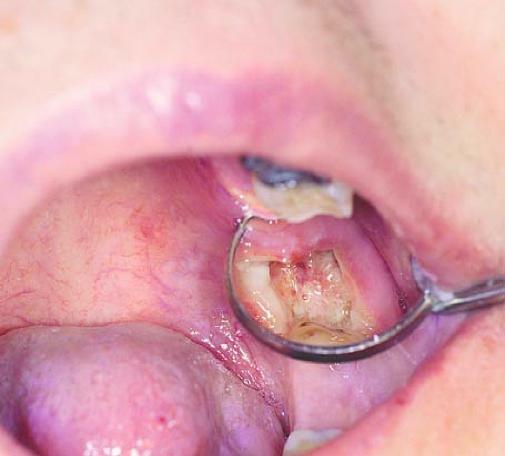 Dry socket or alveolar osteitis is a complication of delayed healing following tooth extraction. Dry socket occurs when the blood clot is lost from its socket exposing the bone to air, bacteria and fluid. Loss of blood clot can be due to excessive fibrinolytic activity caused by bacterial, salivary factors and etc. (For your information, fibrinolysis is a process that prevents blood clot from forming) In the absence of a blood clot, healing of the extraction site is delayed because soft tissue must grow from the gum margins to cover the bone and fill the extraction socket. This entry was posted in Oral Care and tagged bad breath, dry socket, dry socket symptoms, dry socket treatment, how to prevent dry socket, tooth extraction pain on October 19, 2011 by SH. Have you ever experienced severe pain a few days after having your teeth extracted with no swelling on your face? Then you may be suffering from dry socket. Dry socket, or otherwise known as alveolar osteitis, is by far the most frequent painful complication of tooth extractions. 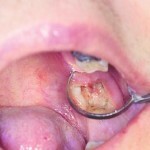 However it is uncommon overall, affecting only 1 to 3% of extractions. This condition of delayed healing, but not usually associated with infection, is common after wisdom tooth extraction due to the large tooth socket that is left behind which can easily dislodges the blood clot that is formed. This entry was posted in Oral Care and tagged dry socket, dry socket symptoms, dry socket treatment, how to prevent dry socket, tooth extraction, what is dry socket, wisdom teeth extraction, wisdom teeth removal, wisdom tooth extraction on March 23, 2011 by oileng.